This was my first online booking with mytaxiindia. 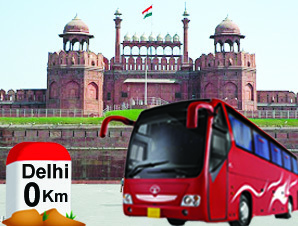 We had hired a Innova car for 6 days trip of Delhi, Shimla and manali. I can say it was my one of the best road trip. We get the confirmation on real time and get the driver detail before starting of this tour. Vehicle was new and driver "Vinod " knew all routes. I like to thanks team MTI they made taxi booking so easy. Thanks ! !